Hard at work horrifying the masses since 2005, Grave Robber have been anything but idle. Combining bouncy, catchy percussion with riffs and guitar solos as sharp as Dracula’s fangs, Grave Robber’s rugged and raunchy releases – “Be Afraid”, “Inner Sanctum”, Exhumed”, “You’re All Gonna Die”, and “Straight To Hell” – have garnered these horror rockers well deserved press from acclaimed punk and metal outlets alike for a good reason. Each song by these prolific punks creates an immersive and haunting atmosphere that has listeners so engaged that they are constantly glancing over their shoulders wondering if Grave Robber is coming for them next. To answer the question of what comes next, one need look no further than Grave Robber’s new full length Escaping The Grave, a slamming dose of punk rock mayhem laced with a lyrical condemnation of evil and celebration of reanimation. A notable point is that punk rock, metal veteran and drummer extraordinaire, Jim Chaffin (The Crucified, Deliverance, The Blamed) played all of the drum tracks on Escaping The Grave. 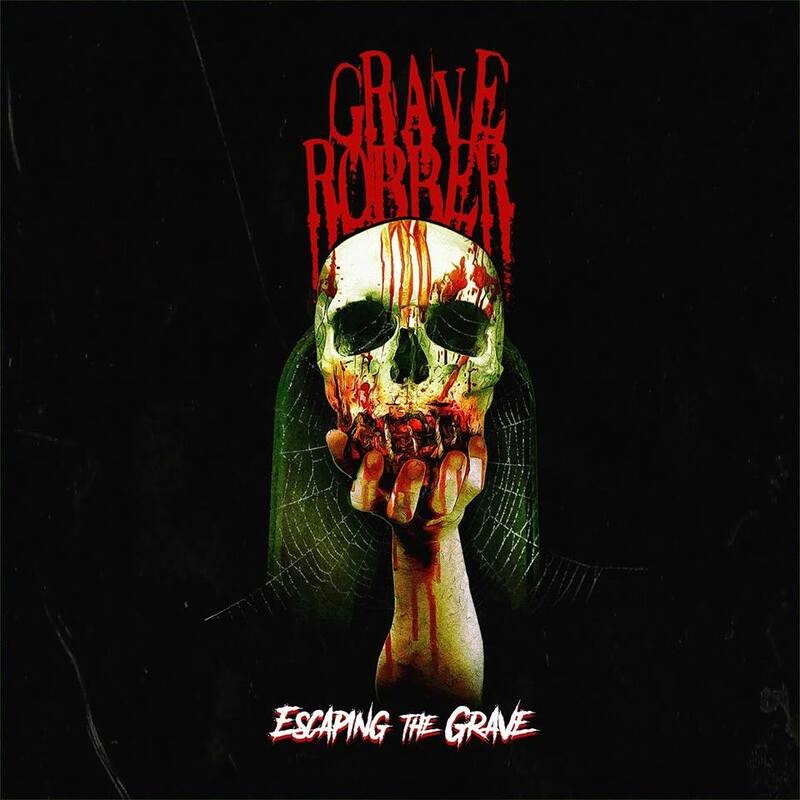 Grave Robber shows no sign of slowing down and similar to a herd of zombies, their fan base continues to expand as Grave Robber’s musical message of hope married to their theatrical delivery infects more unsuspecting victims. Get Escaping the Grave now.